What do you think of a 49 hour DVD (set)? 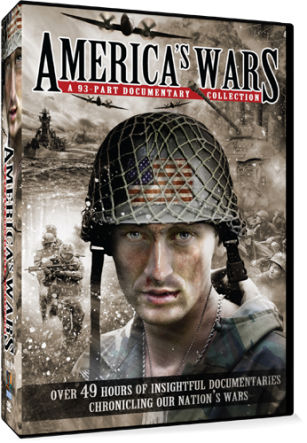 That documentary is called America's Wars and is one of two DVDs you are playing to win when you enter. 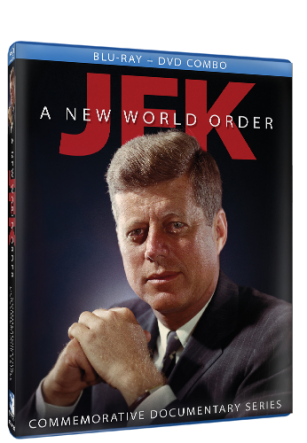 The other is JFK A New World Order. You'll need to enter to win before 1/23. Feeling lucky? A comprehensive collection of insightful documentary programs chronicling U.S. Wars! 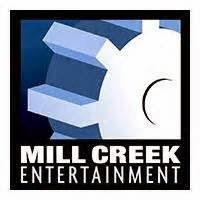 Six of Mill Creek Entertainment’s best-selling DVD sets are now available in this 12-DVD collection chronicling the history of United States wars, battles, victories and losses. Containing over 49 hours of wartime footage, newsreels, photos and interviews! This amazing collection is a excellent way to learn how the United States fought to keep the Freedom we all enjoy today. The 12- Disk collection would be a great tool for High School and College Students studying American History. Over 6 Hours Of The Myth And Memory of J.F.K. – The Man Who Captivated A Nation! Fifty years after his death, John F. Kennedy’s life, legacy and youthful vigor continues to intrigue and enthrall an entire nation! Relive and introduce, to younger generations, the compelling story of this unforgettable leader and the inspired dynasty he left behind. Insightful and concise this 8 part documentary series covers JFK’s life from barely surviving birth to the tragic events in Dallas on November 22, 1963. Remembered for his charisma, sharp mind and quick wit this series explores the early years of the WWII hero and respected Senator up through the 1960s Presidential race against Richard Nixon. From his inspirational Inauguration speech to his final days in Dallas and all points in-between, the story of the man who gave the nation a sense of pride and confidence is presented in this unforgettable collection. Journey through the pivotal moments that created one of America’s most beloved, influential and controversial figures through 8 programs that commemorate the man and the myth that is – John F. Kennedy. This giveaway is not associated, endorsed or affiliated with Facebook. valid in the Continental USA Only and entrants must be 18+ years old. for the awarding and shipping the prizes direct to the winner.